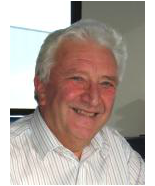 Graham is a founding director of Classic Financial Solutions cvba, and has lived in Belgium since 1969. He is a Chartered Accountant and member of both the Taxation Faculty and the Financial Services Faculty of the Institute of Chartered Accountants in England and Wales. As well as speaking English, Graham is fluent in French and speaks some Dutch. Alan has been a financial advisor since 1976 and holds the Financial Planning Certificate issued by the Chartered Insurance Institute in the UK. 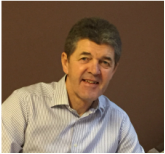 He ran his own financial services company in Brussels for 5 years before merging his business with CFS in 1995. Alan speaks English and has a basic knowledge of French and Dutch.